Welcome to The KGB File! 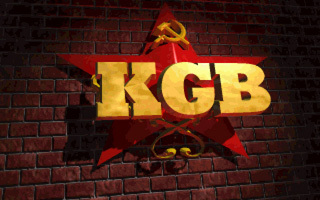 This website is dedicated to a better understanding of the amazing game KGB, developed by Cryo Interactive Entertainment and released in 1992 by Virgin Entertainment, on PC and Amiga. KGB remains to this day a unique and excellent game, and is one of my favourites of all time. It's also very challenging. It trusts your intelligence to understand what's going on without spelling it out for you. Because of the complexity of the story and the large amount of characters, it can be difficult to understand at times, especially since the ending is rather abrupt and you may be left with more questions than answers when you finish the game. This is why I made this website. This website is for you if you have finished KGB and still have questions you'd like to see answered. This website is not so much for you if you've never played and finished KGB. There are major spoilers everywhere, so if you haven't finished it yet, I advise you to stop reading, bookmark this website, and come back when you're done playing this amazing game. The KGB File contains a comprehensive analysis of the plot and the characters, a F.A.Q. section to resolve the plot points that most commonly puzzle players, a short history section if you are unfamiliar with the historical events referenced in the game, as well as a walkthrough, mainly to be used as a reference if you've forgotten something since the last time you played. Before you start reading, I must say that I can explain with certainty about 95% of the story, but after playing the game inside and out, I have reached the conclusion that the remaining 5% is never given a definitive explanation and is thus open to interpretation. You must use your imagination to fill in the blanks. KGB is a great and self-sufficient game, that doesn't need any update or enhancement. However, it was later rereleased on CD in a new version renamed "Conspiracy". This new version adds poorly made videos starring Donald Sutherland (in the role of Rukov's father), which really bring nothing to the gameplay and even distract from it. It also replaces every instance of the word "KGB" within the game with the word "Conspiracy", which is pretty lame in my estimation. I strongly recommend you play the original KGB.